Cutting hair seems like an easy task to accomplish. However, it needs some level of expertise. You may achieve the primary objective of losing the hair you wanted, but you may not be pleased with your appearance after that. Also, you may not enjoy the process because of using the wrong tools. It is important to be aware of what can go wrong when you attempt to cut hair yourself. Cutting bangs require expertise. When most of the people attempt the process, they either end up with too wide or short bangs that resemble those of a 7-year old girl. It is important that when performing this cut, you should cut your hair vertically and not horizontally. However, if you ended up with botched bangs, you can visit a hairdresser. They can try to correct the mistake. It is the obsession of most women to grow their hair. To achieve this most would forgo a hair trim so as give their hair more time to grow. When you cut your hair yourself, you will continue doing this not knowing that it is not beneficial for your hair. 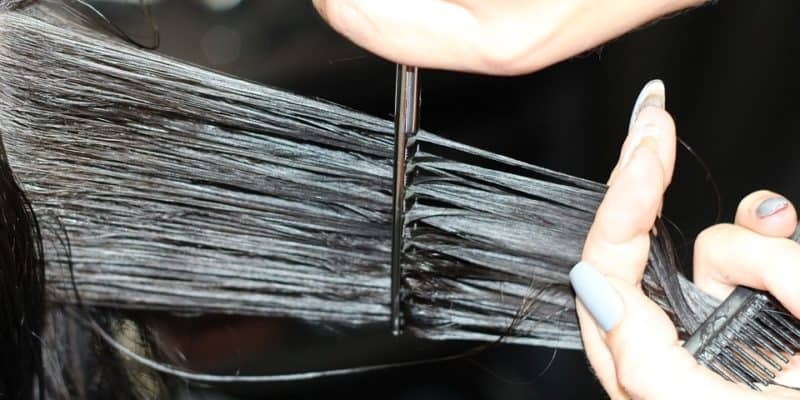 It is because this habit will increase the possibility of you having split ends which are bad. Even though you cut hair yourself, you should consult a hairstylist and seek advice on the trimming frequency. It is common knowledge that people have different types of hair. However, considering this factor when cutting hair is not common knowledge. It is because you cannot have any cut for the different types of hair. Therefore, when cutting hair yourself, you risk taking a cut that does not match your type of hair. To avoid this, you should visit a hair stylist, and they can recommend the cuts you can take for your hair. It is possible that you will come across a new style on social media and learn how to do it. However, making your hair look good does not end with taking the new cut. It requires that you treat and set your cut the proper way from day to day to make it appear each day as good as new. There is a likelihood that when you cut hair yourself, you will lack this information. Therefore, you should ensure that before taking a new cut you have complete information on how to maintain it. You can remember the person you saw somewhere, and you thought that that the haircut they had done clashed with their face’s shape. When cutting your hair, you can end up making a similar mistake. It is because you can lack the expertise to take into consideration the shape of your face. Therefore, it is important that you contact an expert. Because of their expertise they can quickly find haircuts that can match well with the shape of your face. After that, you go ahead to cut the hair yourself. Sometimes people will take a short cut because of the wrong reasons. The most common one is when they reach a certain age. The possibilities of making this mistake are heightened when they cut their hair themselves. It is because there will be no one to stop them. So long as your hair is beautiful and healthy, you should just keep it. Sometimes cutting is the easy part. Styling your hair properly contributes at least 50 percent on your appearance. You can have a good cut, but wrong styling will not bring out the good cut. In case you do know the appropriate styling to use, you can cut your hair and visit a hair stylist after that. Your hair takes more time to grow that you take cutting it down. When cutting your hair, you risk cutting too much. It is important that you cut the hair in short bits at a time. It will reduce the risk of cutting too much.